This is a wide-ranging exploration of the similarities and differences between ancient Greek and ancient Chinese science and philosophy, concentrating on the period down to AD 300. Professor Lloyd studies such questions as the attitudes towards authority, the practice of confrontational debate, the role of methodological inquiries, the development of techniques of persuasion, the assumptions made about causal explanation and the focus of interest in the study of the heavens and in that of the human body. 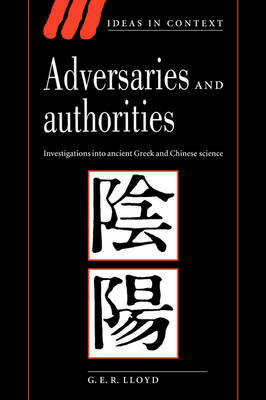 In each case the Greek and Chinese ways of posing the problems are carefully distinguished to avoid applying either Greek categories to Chinese thought or vice versa. Professor Lloyd shows that the science produced in each ancient civilisation differs in important respects and relates those differences to the values and social institutions in question.